GEMINI is an air sign… always on the go! Travel, talking, politicizing, editing, mercurial, entertaining, accepting (unless judgmental), with a need for spontaneity, and attempts to harmonize thoughts with intuition in order to activate and realize the Soul’s agenda. 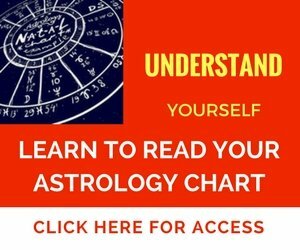 MUNDANE Gemini, you can be rigid and get stuck doing things one way. When you obsess about certain thoughts and you’ll get stuck, often paralyzed from following through. Then you might go the exact opposite way and act before thinking. You analyze, then dictate instead of intuiting. You judge others according to your standards. You do this because you believe that the mind is in control and that you can think your way past feelings. You become immobilized by your judgments and get defensive. Sometimes you miss the joke because you spend too much time analyzing and criticizing the words. Your ideal is to build a bridge from ‘here to there’. Imagine yourself meeting your goals halfway on that bridge as others come to assist… this will eliminate gaps in your life. ESOTERIC Gemini… you know that you don’t always know. You seek out teachers, learn something new, and then collaborate with others for the betterment of all. You’re wonderful at giving and forgiving. You can talk about anything when you travel to gain knowledge and wisdom…and all just for the fun of it. You’re terrific at managing or networking people. You see the possibilities between different ideologies. When you articulate the global perspective, oh what a healing! 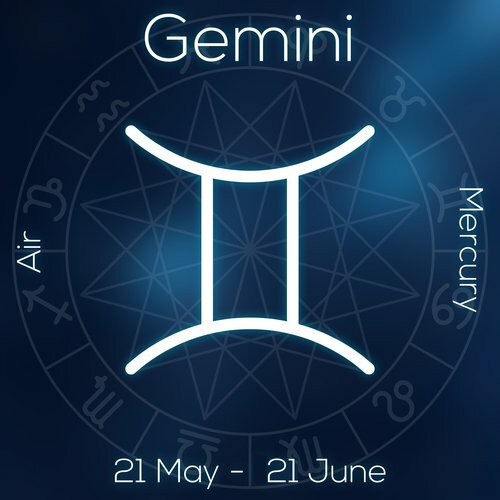 When Gemini is on the rise, the planet Mercury guides the general theme of a person’s astrological chart. Gemini Rising, oh how you love those fleeting moments that make up your spontaneous, meaningful and superficial experiences. You’ve got a nervous or electric energy that results in spastic movements, decisions or impetuous actions (and sometimes dogged opinions). Many times the more profound, deeper or spiritual experiences are pondered instead of felt and mistrust or doubt keeps that experience from the intuitive or feeling state. What would help to understand and deepen your intuition (where trust and confidence reside) is a commitment to a daily method or belief that gives you positive results, such as meditation. Meditation helps you to develop greater compassion for those you champion and serve. Data and information that get you to think about how you feel are also exciting. Money can be made through writing, women’s and children’s issues, religion, spirituality, politics, setting new structures for government, health (or healing equipment), healing, and through financial institutions. In many cases you might see only one way of enacting business and resist change for fear of losing ‘time’ and not just money. Alcoholism and/or addictive or critical judgmental behavior (such as fundamentalism) surrounds you at times. Once you uncover your inner sense of security you learn to remove the judgments surrounding your belief about your original Source. Then you begin to experiment more easily with different cultures and belief systems and come to see the whole world as merely a reflection of YOUR own possibility. You’re a true humanitarian and look for a cause to serve. Your methods of problem solving are unique and based in fairness and facts. You can develop unusual methods to generate global healing. Professions that attract you are, Network Chiropractors, Micro-Bankers, ‘New-Age’ economists or authors of controversial and timely topics that generate awareness. You have a diverse group of friends and associates from different cultures. Your romantic relationships need to have a foundation of freedom, with a practical and compassionate philosophy. You’re happiest exploring new territory with those you love. Conversely (as with dual signs) you might take on a personal challenge to reshape a person’s thinking, even at the sake of your own marital happiness. Finances are best approached by technological means, nurturing occupations, writing and journalism, healing or medicine, government and politics, as well as the food industry (food critic, taster, wine connoisseur). One of your parents might have given you the impression that in order to flourish, you must accept fault and blame even when it doesn’t apply. Shy from your inner critic about your life and focus on the abundance of life. ** Be advised that too much talking in traditional psychological counseling might help to lay the foundation for healing, but you’ll lure yourself into believing that ‘talking’ your way out of a deep-seated pattern is the only way to go. You get bored doing the tried and true, but the tried and true opens the door for you to problem solve. Emotional Freedom Technique, Alexander Technique, Energy Work, coupled with talk therapy works best. Your greatest ah-ha will come when you FEEL if a way is your truth or not. If I start thinking about an experience I’m having I’ll stop having the experience. Be still. Notable Gemini Rising Signs—Julianne Moore, Christina Applegate, Neil Armstrong, Bruce Springsteen, Orson Welles, Steffi Graff, Drew Barrymore. You tend to intellectualize your feelings instead of actually feeling them. … this can keep you up ALL…. NIGHT… LONG. Tired yet? Gemini Moon can vacillate to great extremes. This also applies to how you might perceive mom… as psychotic on some level—bouncing from extreme emotion to denial or as a victim who did their best to control their environment. As a result, you might have little compassion or patience for weepy emotions in yourself and others. You’d rather reason your way through intense emotions. You might also enter extreme periods of wealth or debt as you learn to identify your feelings as FEELINGS, instead of as thoughts. To help you remedy this and have a more even feeling and emotional state is to first understand this—The moment you start thinking about an experience you’re having is the moment you stop having the experience. Second, explore biofeedback games, technology and deep meditations such as Holosync and Theta wave brain entrainment audios. These methods bypass thought processes and can help you navigate and harmonize your feelings instead of analyzing them. Do this often and you’ll attract more nurturing women (and men) and heal your financial, sexual, and emotional debts.